Fall is a really great time to spruce up your home a little before all that winter holiday entertaining begins. A relatively easy way to make a big change to your home’s appearance in a comparatively short time is by repainting the interior (or even the exterior) of your home. 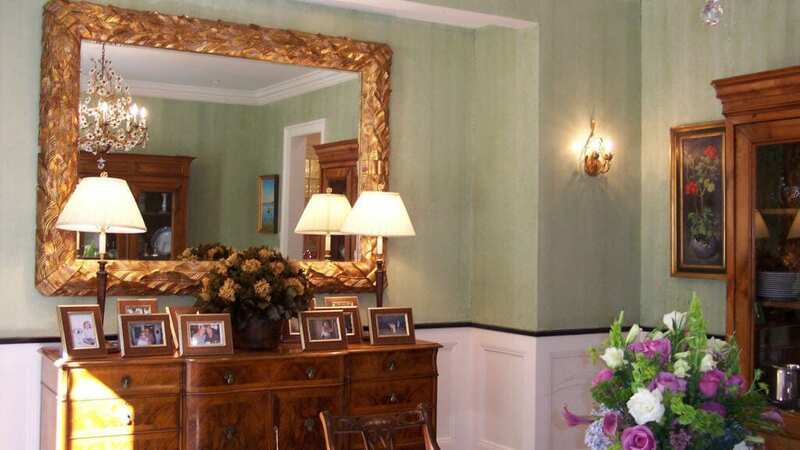 After you have taken the time to figure out which rooms you want to be painted and then made the effort to find a great local painting contractor to do the work for you, all that is left is selecting your colors. That should be the easiest part, right? Not quite, as you will quickly realize when you start looking at paint chips and samples and realize that the “nice blue” you had in mind comes in several dozen different shades and finishes. The best way to determine what shade of paint you are looking for is to bring a sample home, whether it is a paint chip or sample card or one of the small inexpensive testers that paint manufacturers all sell these days. The harsh light of a paint store or your local home center is likely to be very different to the lighting in your own home, so taking that extra step is well worth it to get the result you really want. 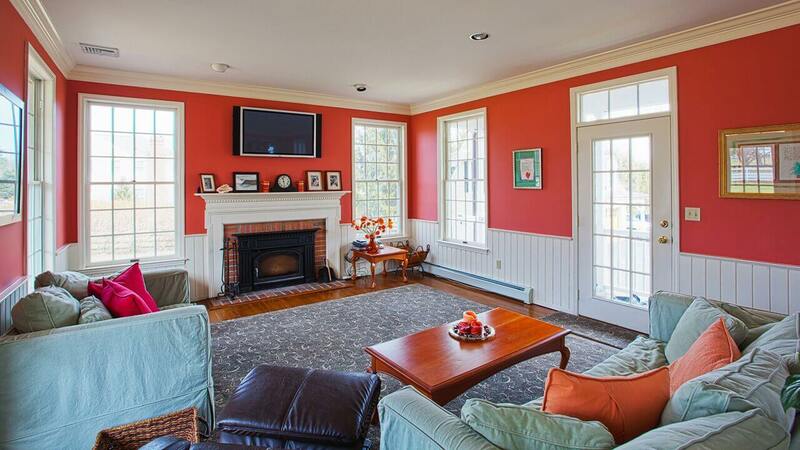 When it comes to choosing the ideal finish, the best person to ask is your painting contractor. He or she will be very familiar with the pros and cons of each different finish and able to advise you what will work in the room you are having them paint. Are you planning a home building or remodeling project? If you’re like many homeowners today, you might be looking for ways to not only build well, and with style, but also build responsibly. Awareness of the shortages that many natural materials and resources are facing has made “going green” appealing on multiple levels. This growing, positive trend has opened the doors to numerous alternatives that maximize your home’s style while minimizing its impact on the environment. And, in many cases, these options will also minimize the impact on your wallet. Who doesn’t love that? Let’s take a look at a few popular alternative building materials. Hardwood is a limited resource. And, while some manufacturers are dedicated to ethically sourcing materials, not everyone is. The key to successfully building in a green way is to work with an experienced professional who shares your values. Ask what they suggest, what they have seen work in the past, and how you could think outside the box during your project. The results will be stunning, and one of a kind, adding a unique flavor to the colors and textures within your home. How Can You Protect Your Hardwood Flooring This Winter? 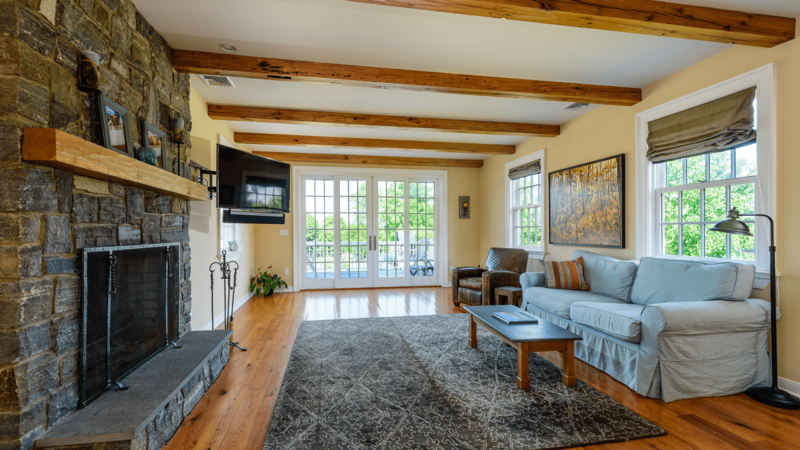 In many of the homes we work in here in Westchester and Fairfield Counties, hardwood flooring is one of the great focal points. It connects us to a rich history of local craftsmanship, and provides an unparalleled level of warmth and character. Even if the wood was laid recently, perhaps as part of an addition or flooring replacement, it’s a long-lasting, beautiful investment that deserves to be cared for and properly protected. As lovely and durable as it is, wood is still susceptible to damage, and especially so if your house is a busy one. Pets also are another factor (claws and hardwood just don’t get along well). All of these hazards are compounded during the winter season as sand, salt, and elevated levels of moisture are added into the equation. Never fear. There are simple steps you can take to help protect your beloved flooring, preserving its beauty, value, and condition. Are You Cleaning Your Hardwood the Right Way? While tile can be easily washed with your favorite high-test cleaner, hardwood needs a lighter, gentler touch. Harsh products can damage the finish, and applying a wet mop can leave puddles and drips that compromise your wood’s integrity and health. Vacuum and sweep to pick up any loose debris that might be ground underfoot into the surface (this is especially important around doorways where sand and dirt can collect). Keep the cleaning process as dry as possible, ideally mopping with a microfiber mop designed specifically for hardwood (you can find these at your local home improvement store). Use cleaner formulated for hardwood, spraying it on and wiping with your mop (again, no wet buckets need to be involved). How Else Can You Protect Your Hardwood Floors This Winter? Protective Rugs By the Door – Where do your family’s muddy boots and wet jackets tend to land? The ideal scenario is to have a mudroom to collect winter gear (and dirt! ), but if that’s not possible just be sure that heavy floor mats are by the door to catch the mess. It may not be aesthetically pleasing, but it will protect that beautiful hardwood. Take Your Shoes Off – You may already have a shoes-off household, but, if not, winter is certainly the time to start. Puddles Are the Enemy – Immediately wipe up any drips or standing water. Avoid Excessively Dry Air – Running the heat can keep you nice and comfy, but it’s not the best for your floors. If your environment is extremely warm and dry (perhaps you run a supplemental heat source like a fireplace insert), you may want to invest in a humidifier to balance the environment. Periodic Refinishing – If your finish is worn down, contact a professional to help you bring fresh life and protection to the surface. These extra steps and products may be easy to overlook or consider unnecessary, but they truly will pay you back handsomely over time. Hardwood is a real investment, and with the right care and love it can be enjoyed by generations to come. As a company that specializes in home remodeling and restoration, we have a unique perspective on style. Over the last 35 years we’ve enjoyed a front row seat, watching trendy colors, materials, and designs enter the scene, peak, and fade away. While trends can be fun to ride, the problem is that they’re, well, trendy. And, unlike a pair of pants from the 1970s, you can’t exactly hide kitchen cabinets, flooring, or bathroom fixtures. When they aren’t cool anymore, you still have to face them every single day. We are big believers in craftsmanship that flies right over the fickle weather of passing trends. You can make choices as you invest in your home that will truly be timeless, leaving you with superior function, beauty, and long-term value. And, this is true perhaps most of all for the kitchen. The Shakers were interesting people in many ways, and exceptional craftsmen. They believed in simple, clean designs that offered no frills but rather let the natural beauty of the piece shine. Shaker style cabinetry does just that, offering a timeless simplicity and elegance. Nothing edgy, nothing trendy, but always gorgeous. It may cost more initially than prefabricated options, but custom cabinetry offers unparalleled value and function. A carpenter can help you maximize your space to its full potential, adding unique storage solutions, special designs, and options that adapt to any quirks that your kitchen may have. This is especially important in older homes where one size certainly does not fit all. Granite is of course the go-to option for many updated or custom kitchens, but it’s far from the only option. From soapstone to marble, copper to concrete, there are stunning materials available that each carry their own set of pros and cons (take a look here for a more in-depth look at these options!). A beautiful stone countertop in particular will really never lose its value and luster. There are numerous stunning options for backsplashes, but subway tile tenaciously hangs on as one of the top choices. This really is because it performs so well, adds style while still being neutral, and injects a gentle texture into the kitchen. If you want to mix things up a bit, ask about installing them in a herringbone pattern, or using an alternate grout color for extra contrast. Sometimes trendy kitchens look phenomenal, but really aren’t designed well. Kitchens absolutely must be designed with a focus on function, being ready to work and entertain. As you embark on the remodeling process, talk with your builder about how the space will be used, what kind of cooking you do, your appliance needs, and any other extra details that will elevate the design from awesome to spectacular. For a little inspiration, take a look at these kitchen features suggested by Better Homes & Gardens. We totally understand working within a budget, but a kitchen is the worst room for cutting corners. Quality shows, endures, and will pay you back over time, especially if or when you sell the home. 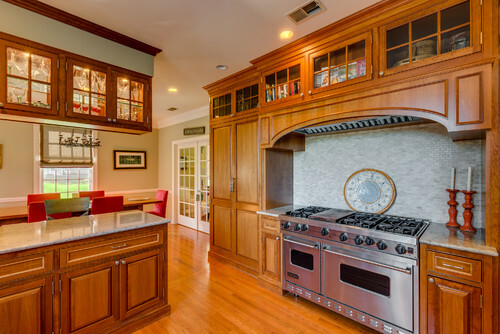 Enjoy the process, and here’s to a beautiful kitchen you can enjoy for decades to come! 6 Reasons Why Wintertime Should Be Your Home Remodeling Time! With fall undeniably here, local homeowners are putting away their landscaping tools, covering the pool, turning the heat on (maybe for the first time), and getting ready to weather the winter. Rather than hibernate, we have a better alternative. Why not take advantage of the season and wrap up a home remodeling project? Why Is Winter the Right Time for Home Remodeling? 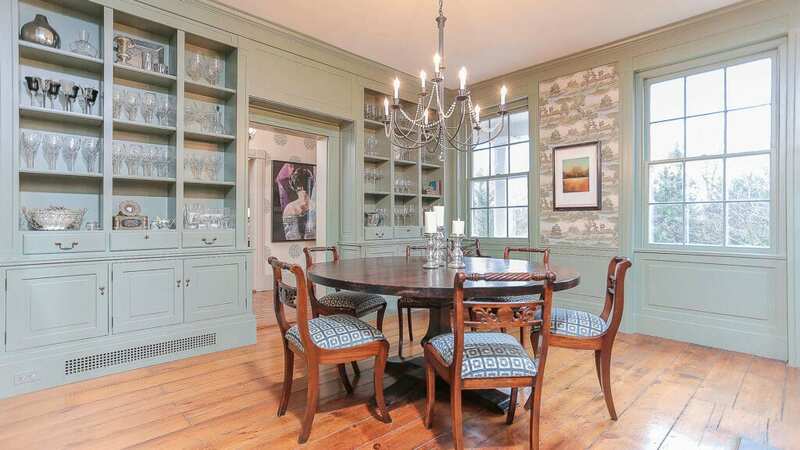 This dining room addition in Westchester offers a warm, inviting style, even on those colder days! Many homeowners, maybe yourself included, think of home remodeling and improvement jobs as best left for spring. Warmer weather seems more conducive to that kind of work. The reality is, there are numerous solid reasons why winter is actually an ideal time to tackle these bigger projects. Let’s take a look! 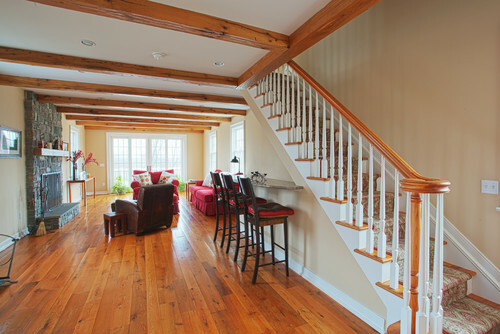 Many contractors find themselves with a lighter schedule during the winter, especially when it comes to interior work. You can take advantage of this “off season” and enjoy the extra level of availability. In some cases, permits and other building-related paperwork can be processed by your local government agencies faster as well. That’s always a bonus! #2 Never Fear – Your Project Can Be Contained! Are you concerned about paint fumes, dust, and other by-products of construction-related work? Expert building contractors have tools, techniques, and improved products available that make containment completely possible. #3 Fight the Winter Blues! Winters here in Westchester and Fairfield counties can be long and cold. A home remodeling project is a fun way to keep the season moving! And, when spring rolls around, you’ll be ahead of the game and ready to start the warmer months in style. 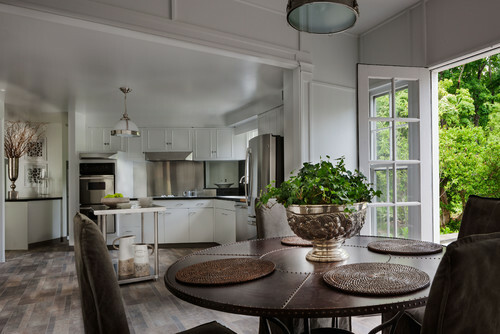 Kitchen remodeling in Westchester – we loved creating this modern style! Have you ever tried to buy a specific ingredient at the supermarket right before a holiday? The shelves are typically empty! It’s always best to plan ahead and buy what you need before the aisles are stormed by shoppers. The same holds true for home improvement and remodeling projects. The off-season yields more inventory in most cases, and can make sourcing items and materials much easier. #6 Exterior Projects Might Be More Possible Than You Realize As Well! We encourage you to talk to your local home building professional about all of your goals, even the exterior-related ones. Many homeowners assume a particular project can’t be completed until spring, but this sometimes isn’t the case. The possibilities for winter-time work are more expansive than you might realize. Whether inside or out, few things are more satisfying and fun than working with an expert builder on improving your most important investment. And, winter is the time to get the project rolling! It’s easy to take your countertops for granted. They collect your mail, hold your keys (although you may forget you put them there), and support countless cooking triumphs… and failures. They’re spilled on, leaned on, and relied on, from breakfast through supper. You could say your counters are the strong, silent type. If you have ever tackled a kitchen remodeling project, you know that suddenly countertops call for more attention than you maybe have ever given them before. There are seemingly endless materials, styles, and colors to choose from, ranging from quiet and unassuming to packed with natural character and unpredictable patterns. In fact, there are a huge number of popular kitchen features to decide on and evaluate in general, adding to the complexity of the process. You also might start experiencing another common part of the remodeling process: “helpful” advice from friends. If you don’t keep firm footing you can easily get washed away in a flood of tips and stories, all tinted with their unique experiences and situation. Advice is great (in small doses), but the simple truth is that you need to make your countertop choice on your own. It all comes to down to your needs, taste, budget, and interest in maintenance. We’d like to take you on a quick tour of a few of your options, and offer what we hope are helpful considerations. Our goal isn’t to be just another voice in the crowd, but rather to help you cut through the noise and find what will work best for you. First, let’s zoom out a little and enjoy a bird’s-eye view of your options. After that, we’ll zoom back in and take a closer look at a few of the most popular countertops being used in today’s kitchens. Granite has become synonymous with the idea of quality countertops, and an immediate feature of interest for home builders, buyers, and renters alike. Let’s take a closer look at this popular option. Style – Granite has earned its place as a countertop frontrunner for good reason. It’s stunning, timeless, and can find a happy home within a wide variety of kitchen styles. It also offers character, meaning that it has a story to tell in every natural swirl and color explosion across its surface. Price – We’ve put this in the “PROS” category because pricing is highly-dependent on the color of the stone, the thickness of the slab, how rare its qualities are, and seasonal considerations. Talking with your remodeling professional about your specific goals and needs is the best way to determine if it is the right material for your budget. Longevity – With care, this is a choice that can last a lifetime. ROI (Return On Investment) – Granite counters are a quality feature that adds tremendous “wow factor” to your home. Investments in kitchens and bathrooms offer high ROI, making this a material choice that will likely pay you back someday. Natural Look – Let’s take one of the benefits listed above and turn it around. Because of its natural qualities and aesthetic, there is a lack of predictability with granite. If you are looking for a consistent, uniform finish, granite likely is not the right option for you. Maintenance – Because it is a natural material, it does require light maintenance. This typically includes regular cleaning and sealing it 1-2 times per year. Delicacy – Granite may last virtually forever, but that doesn’t mean it is indestructible. You will need to be cautious of scratches, harsh cleaners, staining, and contact with high-temperatures (such as a hot pan being placed on the counter). Marble counters are not quite as common as granite, especially in the kitchen, but they are a well-loved option. Beauty – Marble goes beyond “style” and steps into a world of true beauty. Available in a stunning array of colors and patterns, it offers a soft, timeless elegance, and adds an air of class to any space. Unique – Every slab is different, so your counter is guaranteed to be one of a kind. Withstands Heat – Unlike granite, marble is capable of withstanding a tremendous amount of heat without experiencing surface damage. Price – While this may be more of a consideration for some than others, the price is still substantial. Staining – As cold and hard as marble may seem to be, it actually is porous. This means that it is very susceptible to stains, absorbing liquids that are left standing on the surface. Durability – Marble just isn’t cut out for life in an active kitchen. It can be chipped, cracked, and scratched fairly easily, making it less than ideal for most homes. 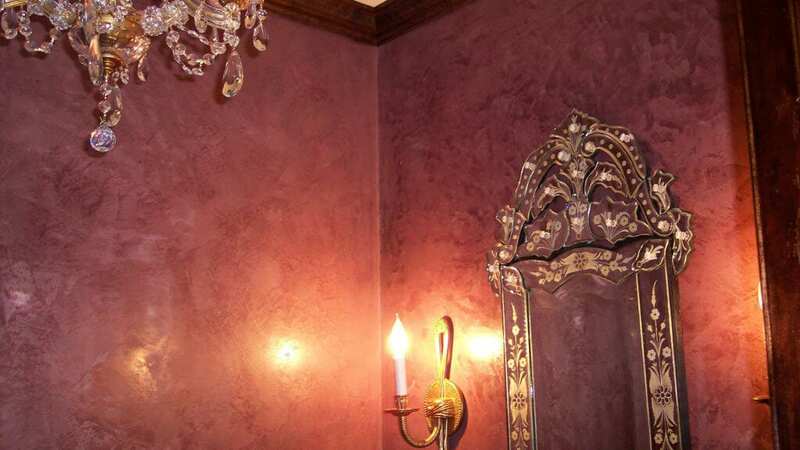 This is why it is primarily used in bathrooms, or in display areas like a mantel over a fireplace. Engineered quartz is made from ground, natural quartz, bound together by resin. 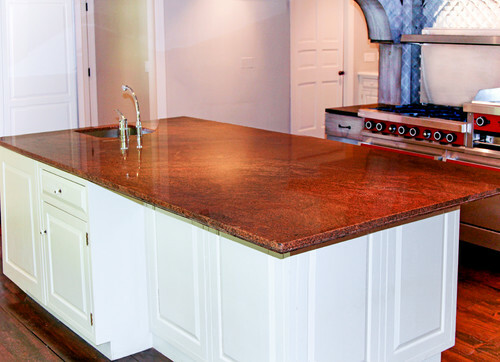 In recent years it has received huge recognition, making it a heavy contender in the countertop popularity contest. Let’s take a closer look at some of its benefits and drawbacks. Price – While certainly not a cheap option, manufactured quartz is cheaper than high-end granite and marble. Style – Because it is an engineered material, it is available in a nearly limitless array of styles. You can definitely find the look you’re looking for. Strength – It is stronger than marble and granite, offering a high level of durability. Low-Maintenance – It never needs to be sealed, and it’s scratch and stain resistant. Quartz does not handle intense heat well. Because of its incredible weight, installation can be a tricky process. Also, you need a building or remodeling professional to ensure that your home can handle the load, especially if your counters are on a second floor. While beautiful, it does not quite have the recognition and “wow factor” that granite does. For many years laminate counters have been the go-to product for budget-conscious kitchen remodelers. Are they the right option for you? Cost – Laminate counters are a low-price option, allowing you to save money as you update your kitchen. Style – While not exactly sporting natural beauty, laminate options are incredibly diverse. Installation – Laminate materials are easy to work with. Maintenance – Certainly no sealing is necessary, and you can confidently use any cleaners you would like without risk of staining. Easily Damaged – You have to be careful of scratching, gouging, or burning the surface. Repairing a laminate countertop is not easy. No Resale Value – Because it is the cheapest option, there really isn’t any “wow factor” or long-term value offered. Circling back to a naturally-occurring material, let’s talk for a minute about soapstone. This smooth, rich, quarried stone is becoming more and more popular for a few distinct reasons. Style – Character abounds in this almost silky stone, and that character only develops as the surface grows older. Heat-Resistant – A hot pan won’t scare a soapstone counter. Low-Maintenance – Non-porous, durable, and water-resistant. Resistant to Bacteria Growth – What’s not to love about that? The surface can be scratched, but it’s possible to buff the damage out with sandpaper. So, How Do You Pick the Right Kitchen Countertop? Having so many options is both a blessing and a curse. It can be difficult to narrow it down, and to keep on track with your goals when that specific slab of marble starts to call your name. Just like it’s a bad idea to grocery shop when you’re hungry, it can be a bad idea to shop for counters without a specific plan in place and a determination to stick to that plan. What is my budget? – Stay as true to this figure as possible. What are my priorities? – It may be that you can afford a pricier counter, but that might mean that your budget needs to be cut down somewhere else. Is your countertop worth it? Is this your “forever home”? – If you’re planning to sell in a couple of years, investing in a more marketable option that increases home value might not be a bad idea. Are you willing to maintain a counter? – Options like granite or wood that require occasional sealing and care may be attractive, but they are a commitment. How much use does your kitchen experience? – If you are an avid cook, a more decorative option like marble is definitely not right for you. If, on the other hand, your counters won’t hold much more than a coffee pot and a take-out box, a more fragile stone might be completely appropriate. How busy is your home? – If there is a high level of wear and tear, picking a more durable, scratch-resistant surface would be a wise choice. The key is to look down the road, evaluating your long-term needs rather than simply picking a material because of its beauty. That can be more easily said than done, but it is important! Our last suggestion is to work with people you trust. Find a professional who can you help you navigate your options, and is really interested in actively discussing your needs. If you live in the Westchester County, NY, or Fairfield County, CT, area, we hope that you might reach out to us at Gerety Building and Restoration. It would be a pleasure to serve you! Where Have All the Bathtubs Gone? If we went back in time and showed the title of this blog to our grandparents when they were young, they might have been afraid that future generations would hold a general disinterest in personal hygiene. Thankfully that’s not the case… The reality, however, is that there has been a major shift in recent bathroom remodeling trends that has left the tub out in the cold. And, to be more specific, this shift has taken place primarily in the master bathroom. When you think of kitchen building and remodeling, what comes to mind? If you’re like most homeowners, visions of counters, textured backsplashes, deep sinks, storage space, and stunning cabinetry dance in your head. Those are all definitely important and add to the function and “wow factor” of the design. We would also encourage you, though, to consider another crucial component in the creation of a functional, stylish kitchen. Ready for it? Why not let your upgrade pay you back someday? On one hand, your house should be all about you. 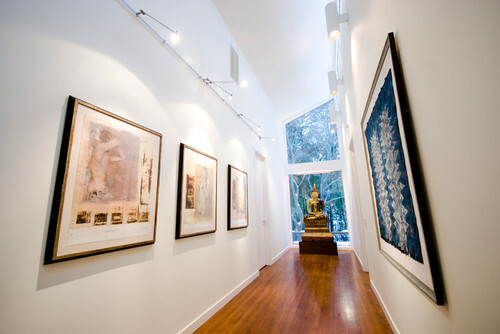 The textures, styles, colors, and materials you surround yourself with all are chosen simply because you enjoy them, and they work together to turn what was once a structure into a home. From bold wall colors to unique custom features, anything goes! On the other hand, many homeowners like to keep an eye on the future by strategically picking home improvements and upgrades that will likely pay them back. If not a complete refund, they at least return most of the investment. In the real estate world, this is referred to as “ROI,” or return on investment. In case you are looking for worthwhile project ideas for your property, we’ve put together a brief list of upgrades you will likely never regret. Exterior painting is a job that can feel a little intimidating for a lot of homeowners. Why? Well, if you tackle the project yourself, it’s a huge undertaking! Painting properly with longevity in mind requires a good deal of prep work, possible repairs, and the dedication needed to consistently and systematically finish the project. You also can, of course, go the route of hiring a professional painter. This is certainly the ideal option, especially because it means you can keep your Saturdays free and clear. Regardless of whether you paint your home yourself or with the help of a pro, there still is one critical decision left to make. And, it’s a big enough choice that it adds a lot to that intimidation factor we mentioned above. Can you guess it?